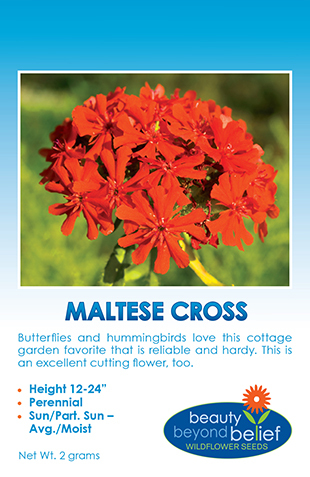 This native annual will provide sunny yellow flowers with mahogany centers, or mahogany-red flowers with yellow centers and are beautiful in cut flower arrangements. These distinctive flowers have traditionally been used for dyes and will produce seed the first year and self sow for many years. Numerous flowers form on long branched stems with finely cut foliage. The seed is extremely reliable and will quickly sprout in 1-2 weeks. 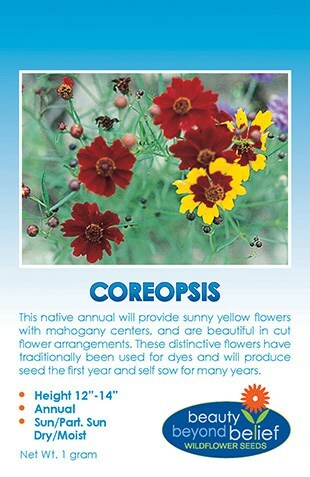 Use this species in a blend of grass and wildflowers to create a beautiful meadow.